Wally de Backer is a Belgian-born Australian with a funny stage name, Gotye, that he pronounces like a Frenchman. (GOH-tee-yay, as in Jean-Paul.) His big hit, “Somebody That I Used to Know,” is a cosmopolitan mishmash in its own right. The song is built around a vintage sample from a Brazilian guitarist, a chiming xylophone, and some beats. It sounds a bit like Les Baxter-style 1950s exotica, and bit a like Portishead. The singing, by Gotye and duet partner Kimbra, is pro forma indie: quavering sensitive-young-white-people vocals. It’s a modest song—smart, catchy, pretty, and immaculately crafted, insinuating but not overpowering. The story it tells is likewise small-scale, a melancholy little breakup drama that plays out on an uncluttered stage set. It sounds like a song that you’d hear tinkling in the lobby of the nicest boutique hotel in Antwerp. So what on earth is “Somebody That I Used to Know” doing at No. 1 on the Billboard Hot 100? Pop pundits have greeted Gotye’s triumph with head- and chin-scratching. Are we seeing a revival of “alternative rock”? 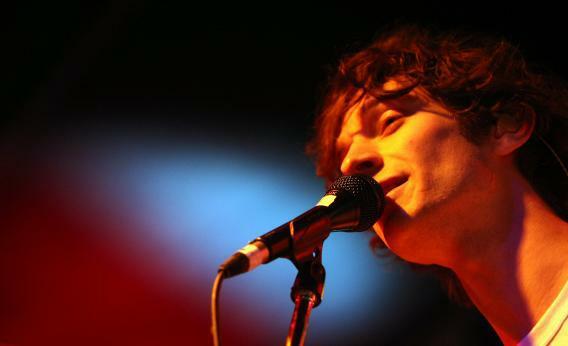 (Gotye was preceded at the top of the charts by New York pop-rockers fun., whose “We Are Young” held the No. 1 spot for six weeks.) Are audiences tiring of pop divas and hip-hop, gravitating from big spectacles and emphatic voices to more modest and circumspect ones? Is it, as chart-watcher Chris Molanphy has argued, evidence of a new populist hitmaking hierarchy, in which iTunes downloaders and Spotify streamers pick hits for radio? Perhaps. Whatever else it is, “Somebody That I Used to Know” is an awfully well-made piece of music. Gotye is a decent singer, but his real skills are as a producer and arranger. He knows how to build drama through dynamics, adding and subtracting a beat here, a guitar lick there. (Listen to the section from 1:25-1:35, where the second verse turns the corner into the first chorus.) He has a classical feel for counterpoint. The final chorus, where wordless background chorales swoop around Gotye’s lead vocal, is lovely.